Melissa Morris Guthrie Obituary - Mays Landing, New Jersey | Boakes Funeral Home, Inc. It is with great sadness that the family of Melissa Morris Guthrie announces her passing after a nine year battle with brain cancer. Melissa passed away in her home on Saturday, March 3rd, 2018. Melissa was raised in Egg Harbor Township, New Jersey. She always loved the warmth of summer, laying on the beach, the Ocean City Boardwalk, and ferris wheels especially. It was not long into her adulthood that her love of warm weather urged her to move to the sunshine state. In Florida, she was able to fulfill her love of gardening surrounded by the rays of the sun and take care of her beautiful family. When her cancer caused her to become too weak, she was always well cared for in return. As the strong woman she was, she fought a very long and difficult fight throughout her nine year battle. Her family remains very proud of the courage and determination she modeled towards the end of her life. 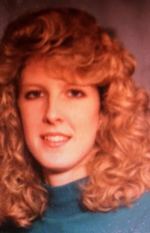 Melissa is predeceased by her mother D. Lynn Morris and survived by her husband, Anthony Guthrie; daughter, Alexis Lind; father, Robert Morris Sr.; brother, Robert Morris Jr.; and countless nieces, nephews, aunts, uncles, and cousins that loved her very much. Services for Melissa will be held on Saturday, April 7th, 2018 at the Zion Cemetery in Egg Harbor Township at 12:00 pm. Following her services, a celebration will be held in her honor at the Shore Diner at 1:00pm. This year, an estimated 23,880 adults in the United States will be diagnosed with primary cancerous tumors of the brain and spinal cord. The National Brain Tumor Society is a non-profit organization that works to find new treatments and a cure for brain tumors and brain cancer to enhance the lives of individuals in the community, like Melissa, who suffer from this deadly illness. Donations can be made on their website http://braintumor.org/ or a donation form may be mailed to National Brain Tumor Society, 55 Chapel Street, Suite 200, Newton, MA 02458.